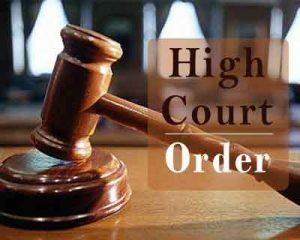 Lucknow: The Lucknow bench of the Allahabad High Court ordered the management of Dr MC Saxena Medical College in the city to pay Rs 25 lakh damage per student for “wrongly admitting” 150 of them in the MBBS 2015-16 course. It directed the management of the college to deposit the entire amount in respect of all the 150 students with the Director General of Medical Education, Uttar Pradesh within two months. The Director General, Medical Education, in turn, shall distribute the money among the students after due verification. The court though refused to grant relief as sought by the petitioner students and dismissed all the writ petitions filed by them in the matter. The petitioners had sought a direction to allow them to appear in the first year MBBS examination for 2015-16. The judgment was delivered by Justice Devendra Kumar Arora on six writ petitions moved by some students. “This court is constrained to observe that there has been a wilful disobedience by the respondent medical college of the orders passed by the apex court, which is nothing but an interference with the administration of justice. Disobedience of an order of a court, which is wilful, shakes the very foundation of the judicial system and can erode the faith and confidence reposed by the people in the judiciary, and undermines the rule of law,” the court said. What is MCI supposed to do in such illegal sprouting of the medical colleges? Were they not aware of the existence of the college, they are supposed to do proper inspection before allowing admissions? If this is the situation, what is the credibility of MCI? MCI has not recognised the college. I assume that is after the proper inspection only!! I appreciate the students for fileing a lawsuit against MEDICAL COLLEGE, And Welcome the Judgement delivered by the Hon\’ble Justice Devendra Kumar Arora. I appreciate the Students who have filed a lawsuit against the Medical college, and also welcome the Judgement given By the Hon\’ble Justice by Several Kumar Arora.